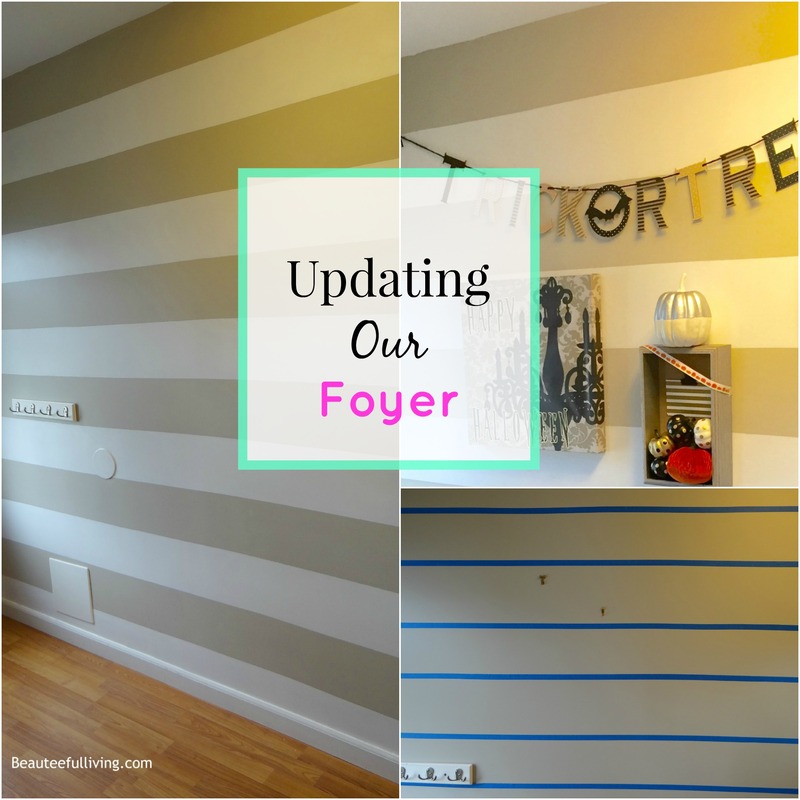 I’ve wanted to make changes to our foyer for at least 2 years now. Expanding the size would be great but that’s not going to happen. 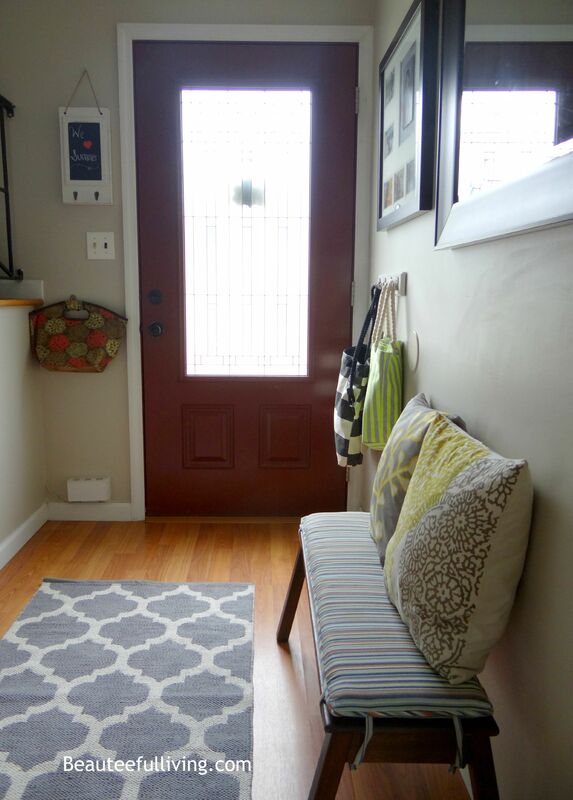 While it would be nice to have more space to walk through upon entering our home, having a small foyer doesn’t quite bother me. What does bother me, however, is having a vision of a project on my mind, knowing that project can be done rather easily, but yet procrastinating on starting that project. Well, I decided not to procrastinate anymore this past Wednesday. Before I show you the process, you may recall that our foyer looked like this from my recent summer home tour. The wall all the way to the right is the wall I wanted to repaint. 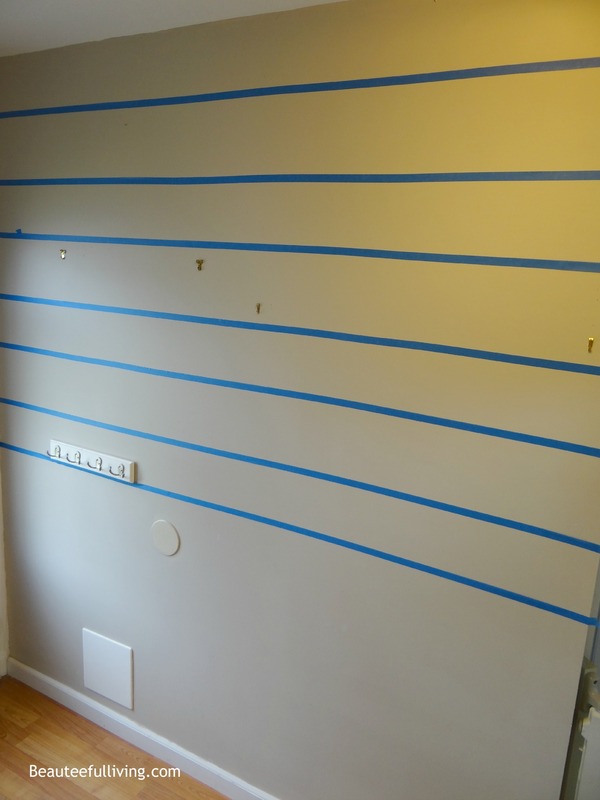 Since I knew I wanted this wall to have horizontal stripes, I came up with an idea to completely cut down the time needed to paint the walls. Instead of repainting the wall completely with 2 different colors (one light, one dark), I decided I just needed to get 1 lighter paint color to go against the existing wall color. Makes sense? Basically, I just paint the light stripes since I already have a dark color on the wall. I further reduced the time needed for this project by just using leftover paint I had around the house. 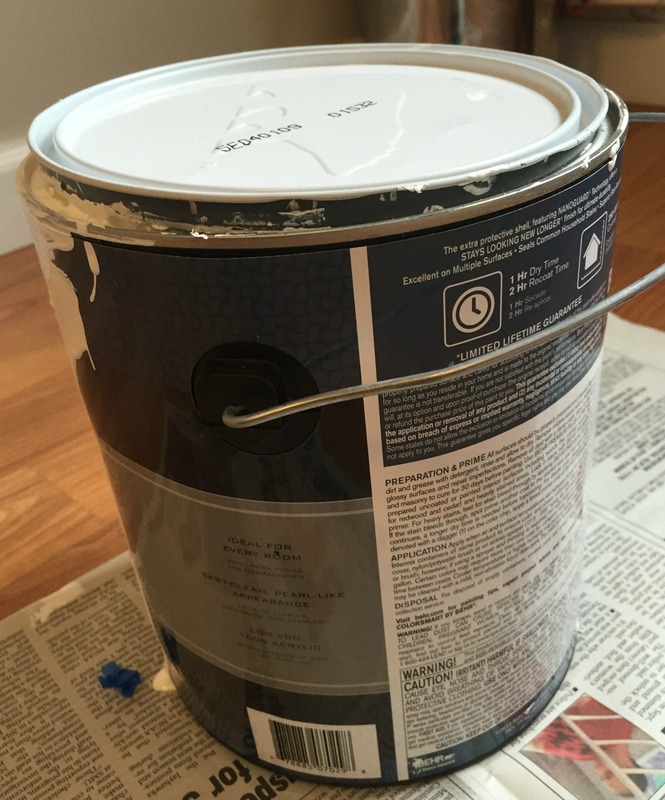 Every homeowner has a can of WHITE paint lying around, right? Well, we certainly did. There’s always touch-ups needed for trim. I measured the stripes to be 8 inches in height. After taping, I started painting the white stripes. After 2 coats, this paint project was done! 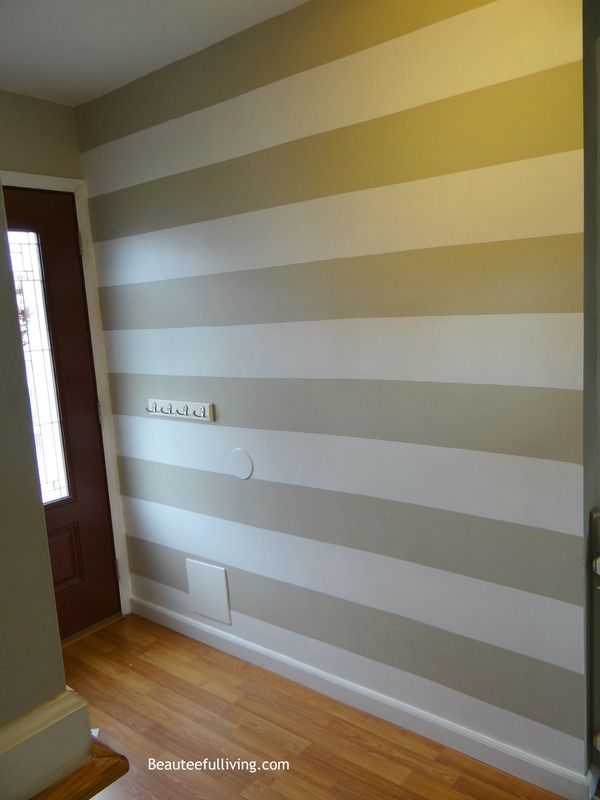 NOTE: The biggest challenge with painting horizontal stripes is the mere fact that walls are typically not completely flat. As long as your lines aren’t too over-the-top crooked, you will be fine. Most people would not notice. Plus you will likely cover parts of your wall with frames, mirrors, or artwork anyway. I started decorating that wall immediately. I couldn’t help myself. 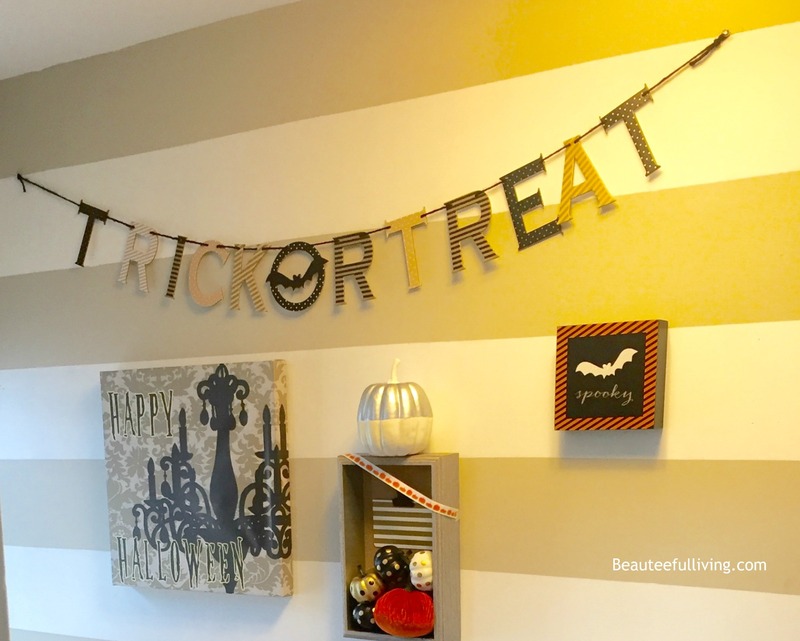 Here’s a sneak peek of the “Halloween” themed gallery wall that I will be sharing next week! If you’ve enjoyed this post, please bookmark or pin this post for future reference. Thank you for visiting! If you’re new to Beauteeful Living, you can subscribe here to never miss a post. So many things happening in the next few weeks! Yay! What do you think of this “on the whim” painting project? Is this “abbreviated” paint project ingenious, lazy, or silly? I’d love to know. Ha! Xoxo, Tee. I love it!!!! Great idea and job!! Thanks for the compliment, Tiff! This turned out amazing! I love a wall with stripes on it. Such a great way to define a space. Hi, Tee! 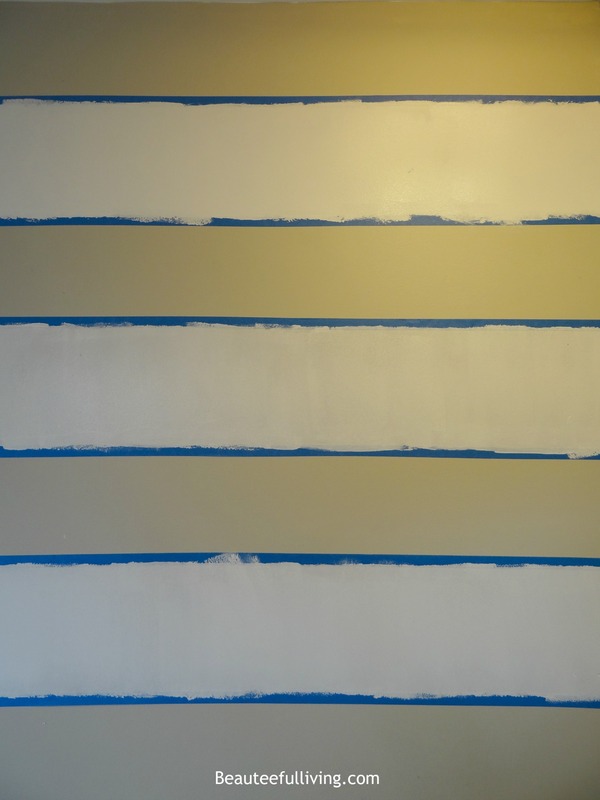 I love how your stripes came out in the foyer! Your Halloween decorations look great, too! Wow…..This looks fantastic. Love the stripes changes the entire look. Great job! Thank you! It’s crazy how it was just a little simple change.